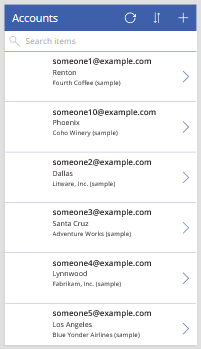 In PowerApps, automatically generate a canvas app based on a list of sample accounts in Common Data Service. In this app, you can browse all accounts, show details of a single account, and create, update, or delete an account. If you're not signed up for PowerApps, sign up for free before you start. To follow this quickstart, you must be assigned to the Environment Maker security role, and you must switch to an environment in which a database in Common Data Service has been created, contains data, and allows updates. If no such environment exists and you have administrative privileges, you can create an environment that meets this requirement. 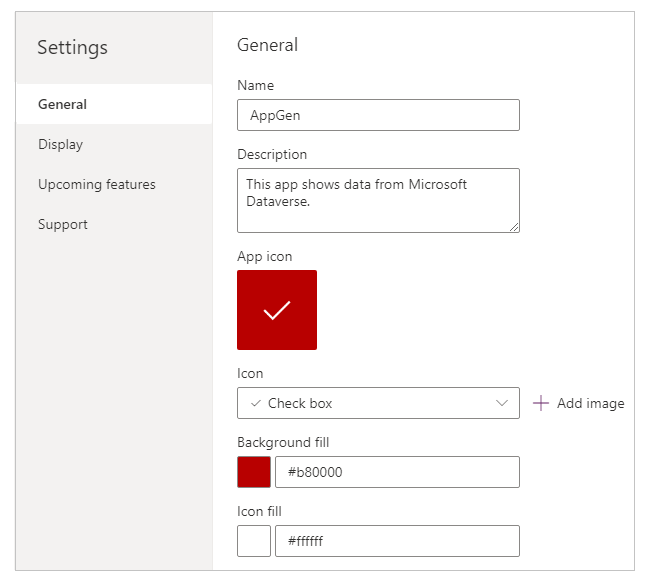 Sign in to PowerApps and, if necessary, switch environments as specified earlier in this topic. Under Make your own app, hover over Start from data, and then select Make this app. 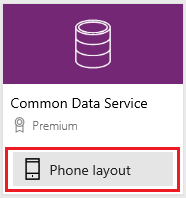 On the Common Data Service tile, select Phone layout. Under Choose a table, select Accounts, and then select Connect. If the Welcome to PowerApps Studio dialog box appears, select Skip. Your app opens to the browse screen, which shows a list of accounts in a control called a gallery. Near the top of the screen, a title bar shows icons for refreshing the data in the gallery, sorting the data in the gallery alphabetically, and adding data to the gallery. Under the title bar, a search box provides the option to filter the data in the gallery based on text that you type or paste. By default, the gallery shows an email address, a city, and an account name. As you'll see in Next steps, you can customize the gallery to change how the data appears and even show other types of data. You'll probably want to make more changes before you use this app or share it with others. As a best practice, save your work so far before you proceed. Near the upper-left corner, select the File tab. In the App settings page, set the app name to AppGen, change the background color to deep red, and change the icon to a checkmark. Near the left edge, select Save and then, in the lower-left corner, select Save. In this quickstart, you created an app to manage sample data about accounts in Common Data Service. As a next step, customize the gallery and other elements of the default browse screen to better suit your needs.